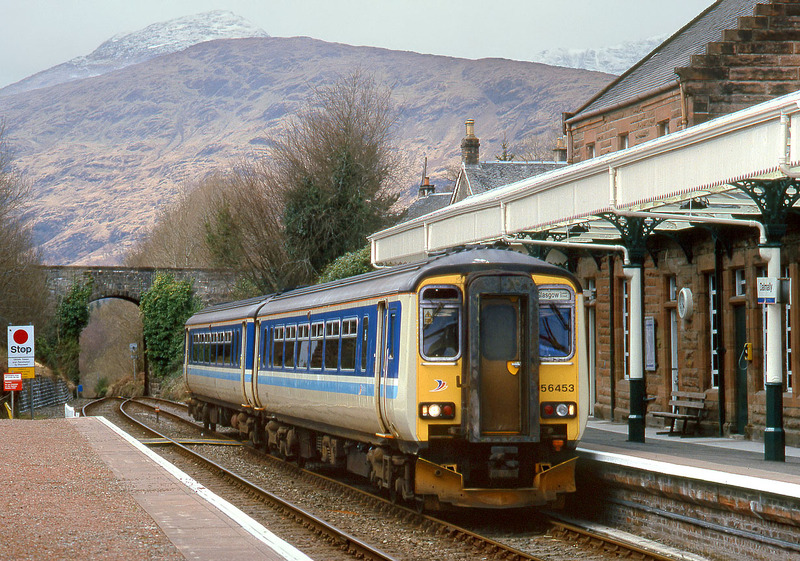 156453 arrives at Dalmally on 11 April 2000 with the 12:35 Oban to Glasgow Queen Street ScotRail service. A cold dull day with some snow visible on the mountains in the background. Note the tall road overbridge at the end of the loop and the sudden change of gradient as the line heads towards Loch Awe and Oban. The Oban line has just three trains in each direction on weekdays and Saturdays (this is the middle one) and only two on Sundays.